1. Check for loose pipe clamps, tightening them using screws if necessary. Separate two pipes, just barely touching each other, with a length of split foam pipe insulation. If one pipe carries hot water in a cold area, or cold water in a heated area place the insulation on that one, for the added benefit. 2. Add a 'Water Hammer Arrestor,' if your pipes knock loudly then go silent. A Water Hammer Arrestor, nothing more than a hollow tube which traps air. Compressible, air act as a shock absorber. If your system already has one, it probably does not contain air anymore. Shut off your main, or isolate and drain that part of the system, and refill. 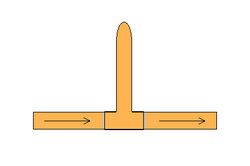 You can assemble a 'Water Hammer Arrestor' out of CPVC, by using a T, an end cap and 4-6" of CPVC conduit. Although a little more complicated to assemble, you can build the same out of Copper or Polybutylene plumbing. An arrester made of larger diameter pipe is more efficient, trapping more air. 3. 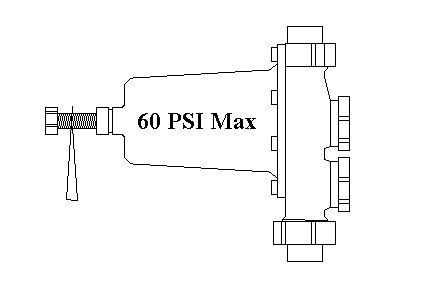 Install a pressure regulator valve on the main line, if your water pressure reads above 60 PSI. Of course, you would have to attach a liquid pressure valve to a hose bib to find out. High pressure can also cause a noise problem, as well as other problems. If you already have a pressure regulator, it has most-likely gone bad, since they only have a service life of 10-15 years. Once installed, they can easily be replaced in the future. * Always look for the easiest solutions first! * When you find the problem, don't skimp on the repair, it never pays off! * If you want to know how to make the best solder joint, read, 'How to Solder a Plumbing Joint,' listed in the resource section below.